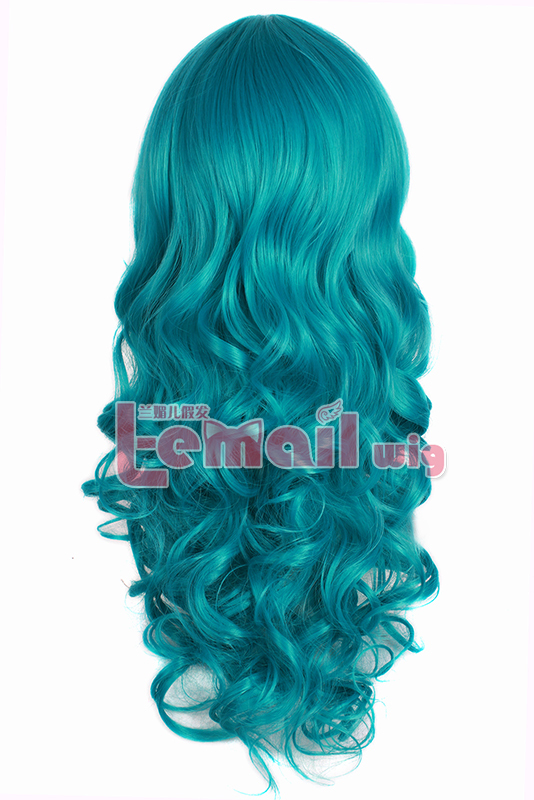 The wig comes in rich wave with blue & green color. 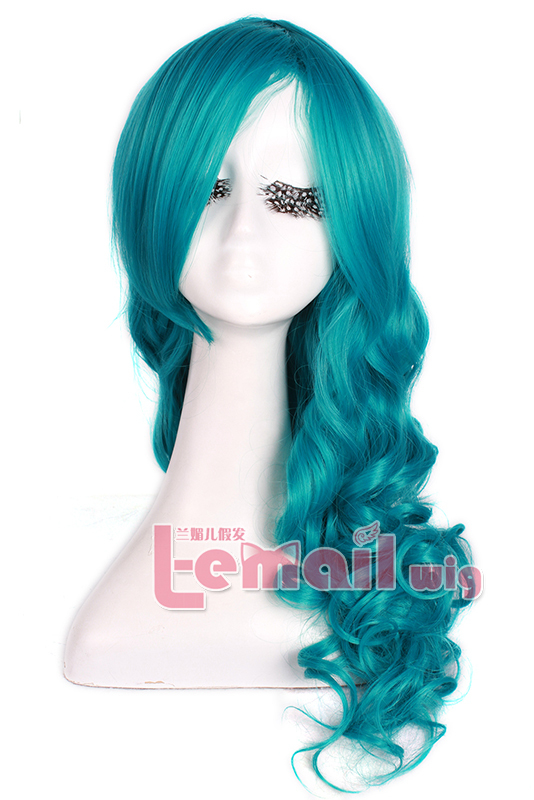 The blue & green cosplay wig is a graceful 65cm long wave wig that touches just your shoulders and frames face nicely. The wig would need slight styling at bangs to adjust your face, otherwise it is ready to wear right out of the box. The wig is shiny and curly. It is a name of quality and still needs minor maintenance. It does not shed much hair fibers therefore it remains the hot favorite of all having an interest for long wave wigs. This is a really nice wig. Soft, not too shiny, no loose hairs. Long Wave Wig You’ll Love! This entry was posted in Buy Cosplay Wigs, Wig Maintenance and Care and tagged 65cm colorful wigs, curly cosplay wig, long wave wigs, vocaloid wigs.